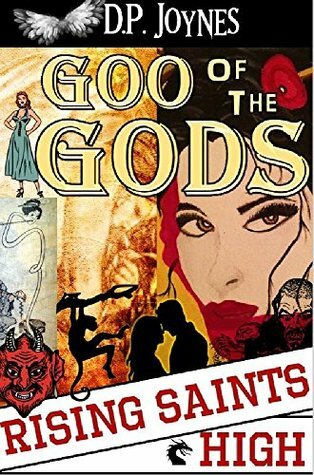 P. Joynes’s novel Goo of the Gods, part of the Rising Saints High series, centers around the life of teen prodigy Jonah Polopolus and his traumatic past. Under pressure to live up to his famous father’s reputation, Jonah joins the Sci-6 team and learns that Science Club is so much more than an after-school activity. Jonah must balance his “normal” teen responsibilities (if you call dangerous science projects normal) while also befriending a beautiful ghost who haunts him and seeks his help. Once Science Club turns into a battle of good versus evil, Jonah and Sci-6 must use their unique traits and scientific prowess to defeat demons, save their school, and solve the mysteries behind their hometown’s tragic history. There’s something suspicious about the tragic accidents and missing people in Jonah Polopolus’s hometown, and Sci-6 plans to figure it out. D. P. Joynes’s Goo of the Gods, part of the Rising Saints High series, is a suspenseful YA science fiction novel with twists that keep you on your toes. 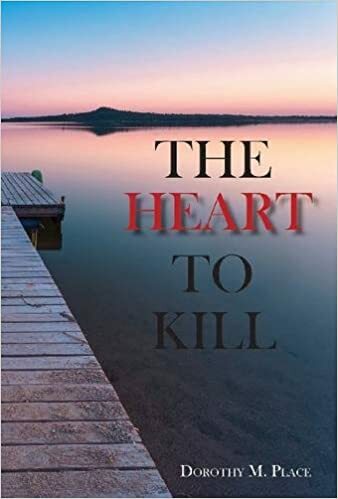 With a dynamic plot and an intriguing protagonist, I found this novel quite compelling and hard to put down. Jonah, a brilliant science student, returns to his hometown five years after the death of his parents and begins his junior year of high school. He’s constantly reminded of his famous father, Dr. Jeremiah Polopolus, and his brilliant discoveries. I loved how the novel jumps between flashbacks to Jonah’s childhood trauma and his present reality, while also interweaving Dr. Polopolus’s journal entries. While there were a few moments that needed more development, I thought that Joynes did an excellent job with transitioning between the past and the present. I liked that this format let me piece together Jonah’s puzzling life. 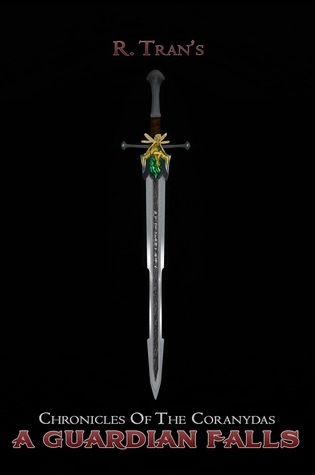 Even though the novel jumped between time periods, there was a consistent motif of good versus evil throughout the novel, like when Jonah faced situations where people’s actions didn’t easily fit into one idea. Urged by the suspicious, yet charming Dr. Ug, Jonah joins Science Club and is thrown into a competition against a team whose members have a demonic appearance. Jonah and his friends call themselves Sci-6, and they bond over their project on gray “goo.” I feel like the goo becomes a metaphor for something much deeper than its modest appearance, as Jonah is constantly trying to understand the “gray” areas of life. While working on their “goo” project, Sci-6 encounters many strange occurrences and dangerous situations at CorPP, Dr. Ug’s laboratory. Jonah also faces a unique problem: he’s haunted by a ghost, named Ambriel, who seeks his help. These supernatural situations show how Joynes masterfully blurs the lines of science and faith. Major plot events combine these two typically opposing concepts, which is quite unique for a novel in this genre. Ultimately, the discovery of old journals inspires them to figure out what, or who, is truly behind the tragedies in their lives. Sci-6 embarks on a mission to conduct risky experiments in order to uncover the truth, help Ambriel, and defeat demons. Even though I wished that Jonah’s friends, Gia and Naomi, had more consistent character development, Jonah’s dynamic characterization made the story that much more enjoyable. It was great to see how Jonah learns to think about the world in both scientific and supernatural ways. The novel ends on a captivating note, and I can’t wait to see what Jonah and his friends do next. 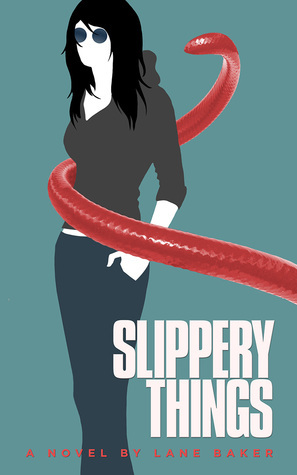 Slippery Things by Lane Baker is a short novel about the things that go bump in the night, alien invasions, and a fight to save humanity. Larissa Locke is your typical teenager that has an attitude and objects to parents and other authority figures. Her mom is in a mental hospital, her little brother is “Mr. Perfect” her boyfriend cheats on her, and her best friend is too wrapped up in her own love life to see what is going on anymore. While she comes across as a trouble maker she soon turns out to be the only one that understands what is lurking in their small town and she alone must figure out how to save everyone. The novel starts out with Larissa explaining why she filled the head cheerleader’s locker with manure. 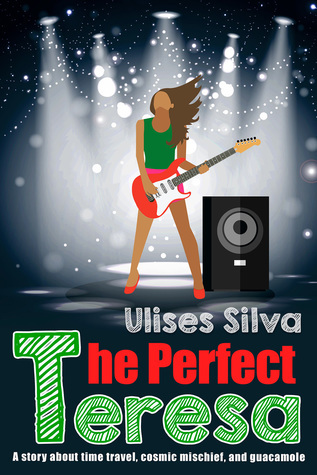 While this is interesting and sets up some of the teen drama for the characters, it set’s the tone and pace for the rest of the novel which is fun and engaging. 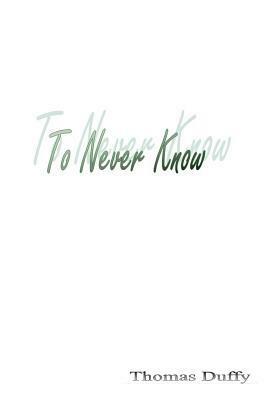 The story takes place in a small town where everyone knows everyone. The general feel is one of your small town high school where the kids form cliques and stereotypes are the norm. Overall a very relatable setting for any reader. The first night Larissa she wakes up thinking she is dreaming that aliens are performing tests on her. You get the standard amber light filled room, fuzzy feelings and mysterious instruments. The night time encounters continue and they start talking to Larissa. There are four of them that she has named Dark Eyes, Scarface, Curly Locks, and Sunspots. These aliens claim to be harvesting her blood to cure a disease in their world. At first she is okay but realized they are taking more blood and more often and when she tried to avoid them they went after her brother Carter and father Gary. At this point Larissa’s only thoughts are to protect her family and start sending the aliens to other homes. After one victim ends up in the hospital Larissa decides she needs to stop them. This begins the battle. Larissa makes a trip to the hospital to visit her mom. She finds out her mom is there because of these aliens and everyone thinking she is crazy. She also gives Larissa a tip to help fight them off. From here we get Larissa planning out her attack on the aliens and her capture by them. She is taken to their world where she must escape and save her own family and town. Aside from teen banter with cheerleaders and the cheating boyfriend stories, the overall plot of this novel is entertaining. 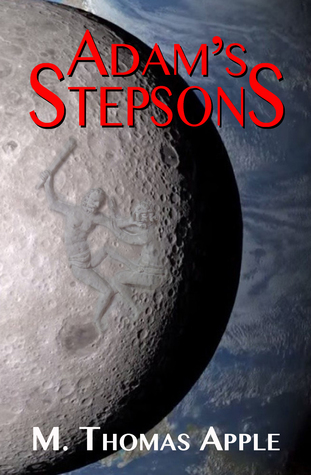 It takes the alien abduction story in a different direction and has a few surprises for the reader. This is a great quick read for anyone looking for a quirky young adult novel in the science fiction genre. 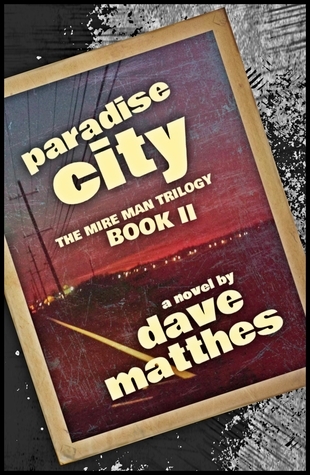 Paradise City by Dave Matthes is the second book in his Mire Man Trilogy. The story goes back twenty years to Arlo Smith’s teens, a time of many firsts for him. The story opens with Arlo and his best friend, James Landon, skulking through the woods in order to peep into a local stripper’s window, trying to see what any puberty-addled boy hopes to see. What they see and experience there is a first that changes them, their friendship and perhaps, their lives. High school isn’t fun for everyone. Arlo and James’ freshman year pulls them apart, and while they remain friends, they meet new people, experience first love, infatuation, and learn the pleasure and pain of drinking and smoking weed. Arlo’s mother introduces him to a parade of boyfriends who drag him into a world of alcoholism, and abuse. Through it all, Arlo learns that he can write, his teachers think he’s good at it, but it isn’t enough to keep him from the lure of drinking and brawling. If you’re going into this book expecting an uplifting coming-of-age story, you will be sadly disappointed. Paradise City is a dark, no-bull look into the brutal world that Arlo grew up in. His mother’s boyfriend uses him as a punching bag, his best buddy is a drug dealer, and he has nowhere to turn to except for the booze he steals from home or gets at parties every chance he gets. Interludes from Arlo’s adult life are interspersed within the novel. He’s getting treatment at the Moriarty Institute, where he admitted himself for psychiatric care. This adds insight and ties Arlo’s past and present together. Whatever confession his doctor hopes to get out of him might be something from his past, or it could just be the ramblings of a man with mental illness. The author really nails the emotions and reasoning of a teenaged boy. Arlo’s thoughts and decisions are spot-on for a teen. No one but his guidance counselor seems to care one way or another about his future. The counselor has good intentions and Arlo is infatuated with her; she speaks to him like he’s an adult, but she’s not that much older than he is. Their relationship skirts the line between propriety and danger more than once. One of the problems I had with the book was placing it in a time period. I’m not sure if it’s inconsistency, or if it’s intentional. Music has a role in the story, and all of the songs and bands mentioned are from the late 1970’s. In one scene, there’s a reference to a flat-screen monitor for a computer playing music, but later, in the same office, the music is playing on a record player. The students at the school don’t mention cell phones or social media, yet Arlo has a cell phone. The pop culture references are from late twentieth century, yet the few mentions of technology feel like the twenty-first. Though it’s second in a series, Paradise City holds up on its own. While you don’t need to have read the first book, if you start with this one, you’ll certainly want to go back to book one and catch up before the final installment of the trilogy.